The demos show a .png file being created. How do avoid that and send the graph to the browser without creating a .png file? Thanks for the reply. If I try that I get the following error message. 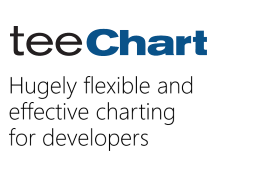 I need to have teeChart in a slightly unusual location... Do I have to do something special for that? Many apologies for the delayed reply. Find attached an example calling render() without parameters and sending the chart to the browser as a stream. Hope this solves the problem at your end.